Pacific Logistics group (Shanghai) Company Ltd (PLGS) is a wholly owned subsidiary of Pacific Logistics group founded in Singapore in 2000. Located in the heart of Shanghai commercial district, PLGS provides extensive domestic and international freight forwarding operation, which include project shipment for both inbound & outbound. PLGS also provides warehousing, VMI, bonded and non-bonded distribution center operation. With a cloud based WMS and EDI integration platform, PLGS enhanced operation lead time, optimize inventory levels and reduce shipping errors for its customers. PLGS professional project team undertake wooden case packing for project shipment oversized cargoes and heavy weight industrial machineries. In addition, on site heavy lifting equipment (crane) handling and route survey services can also be rendered. The end-to-end capability of PLGS meant our customer can benefit from the Integrated solutions with greater visibility, shorter lead time and cost efficiency. Airport to airport through door to door service. General/Dangerous/Perishable/Valuable Cargo Handling/Garment on Hanger/Oversize Shipment. Air to Sea or Sea to Air. Port-to-Port & door to door service. Shipping out of gauge services. Sea to Air or Air to Sea. As part of integrated service provider, PLGS have available resources & partners to undertake any wooden case packing for oversized project cargoes, heavy weight industrial machineries and equipment. PLGS have successfully undertaken project shipment with the highest levels of safety, security, health and environmental standards which is engrained as part PILS company policy and corporate culture. Our successful ON TIME delivered project shipment DOOR/DOOR services, were recognise and award with Turn Key Project on project shipment. 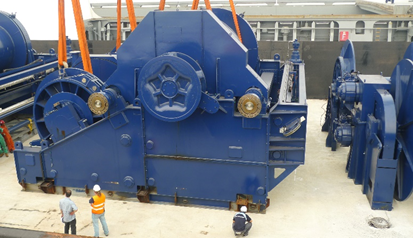 Ship Winches (500ton) : Breakbulk delivery by PLGS shanghai operation team. PLGS ’s customer with manufacturing facility in Shanghai, supporting & supplying to local ship builder with their made-to-order Ship Winches. 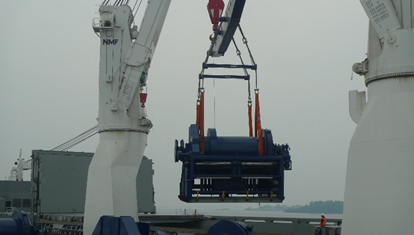 PLGS provided ONE STOP services from Factory to Port alongside for direct loading onto Mother Vessel. Submit with vessel on deck hoisting plan. Loading duration 48 hour operation on board vessel. Customer operation on time status update. Vessel scheduling ETD / ETA.